Bwm Repair And Service Specialists Reading – BMW Servicing, Mot Repairs And Remapping down at The Bmw Service Centre In Reading Based Just Of The Portman Road, Our Fully Trained Technicians Will Service And Mot Your BMW with Precision And To The Manufacturing Terms And Conditions as to not invalidate Your Bmw And its warranty. The Need for BMW repair and Service specialists and Where to Get your Bmw Service And Repairs Carried out Vehicles come in different shapes, sizes and makes; this simply means that a different level of engineering goes into each type of car. There are certain vehicles that are designed and engineered for perfection and the highest level of performance, Basically these are the vehicles that stand out from the rest at the parking lot and on the road. BMW is one such vehicle; if you own one then it is without a doubt that you have the utmost adoration and respect for it. For your BMW to provide you with the best possible service then you absolutely have to take the best care of it. You cannot take any chances with such a high end piece of engineering. 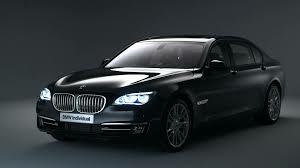 As meticulously designed as the BMW is, it will at one time or another experience problems. When such a time comes, it is vital to ensure that you only seek the services of the most qualified specialist to look into the problem. You see, you cannot just trust any other mechanic with your BMW; you have to approach people who understand the complexities of this particular and complicated piece of machinery. For a long time, we have delivered satisfactorily to our esteemed customers in the Reading area and we continue to do so, on a daily basis. We understand that BMW servicing requires mechanics who have been specifically trained to deal with the model and that is exactly who we have as part of our team. We are not going to let just any mechanic fiddle with your BMW and therefore you can rest easy knowing that you have chosen the right people to take care of your machine. The kind of work that we put into each BMW is of the highest quality. Our BMW service specialists do not do things halfway; they will see to it that everything is taken care of. This is another reason why our customers keep coming back. If you want the best care for your BMW; get in touch with us and you will definitely not regret it and you will certainly leave with a Well oiled machine.